In a can of outtakes from Will Hindle’s film Pasteur³ (1976), I found these handwritten notes of his, which basically identify the footage it came with. I was just going to file these away as I usually do with accompanying paper material, when I realized what they were. 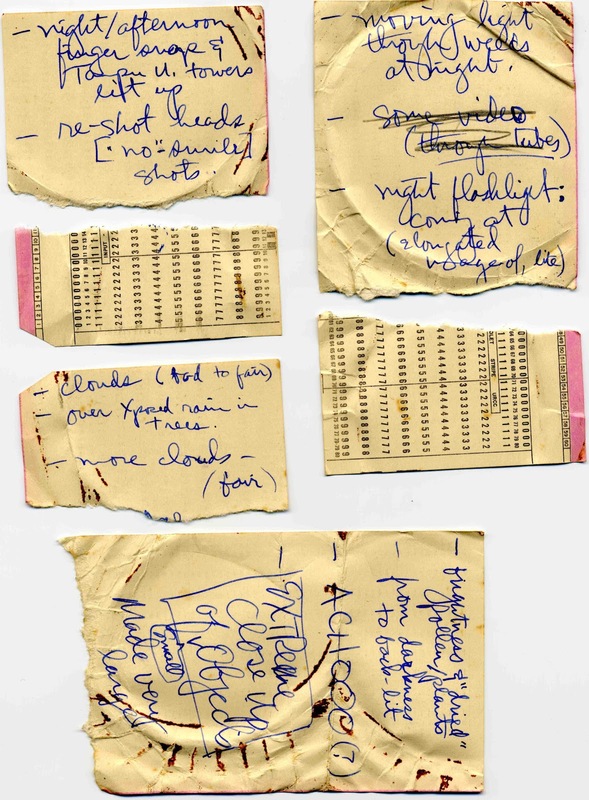 These notes were written on fragments of the computer cards that fall abundantly from the sky and which Will attempts to organize and sort in his film Chinese Firedrill (1968). PRESERVATION INSANITY Blog at WordPress.com.